Polls are open until Thursday, April 3rd, 2014 at 11:59 PM EST. Enjoy! Two epic showdowns, but both nonetheless pretty easy for me. The 3D Marios for me. Though Super Mario Galaxy has next to no chance here. Maybe there will be an upset?! Just to underline how I'm always the opposite of Big G.
Send the N64 to the toilet where it belongs. Oh, you'll pay. Don't think you won't pay! World beat 3, eh? Weird. I almost have to sit this one out. World vs 64 is incredibly hard for me. Ocarina vs Galaxy, also confusing but not nearly as much. OoT wins for story and gameplay while Galaxy just has gameplay. SMW trumps SM64 because it's a slightly tighter experience and less frustrating controls. I know, this board votes in such a perplexing manner that it is actually weird to see the superior game win sometimes. Some tough choices in this bracket. Easiest poll yet. Super Mario 64 has aged terribly and Galaxy is overrated as hell. This is a hard one. All four games are a 10/10 to me. Easy picks here. All four games are amazing, but two changed the way I look at video games. Those are the two that I voted for. @kriswright Not before the NES gets there! Tough one here. 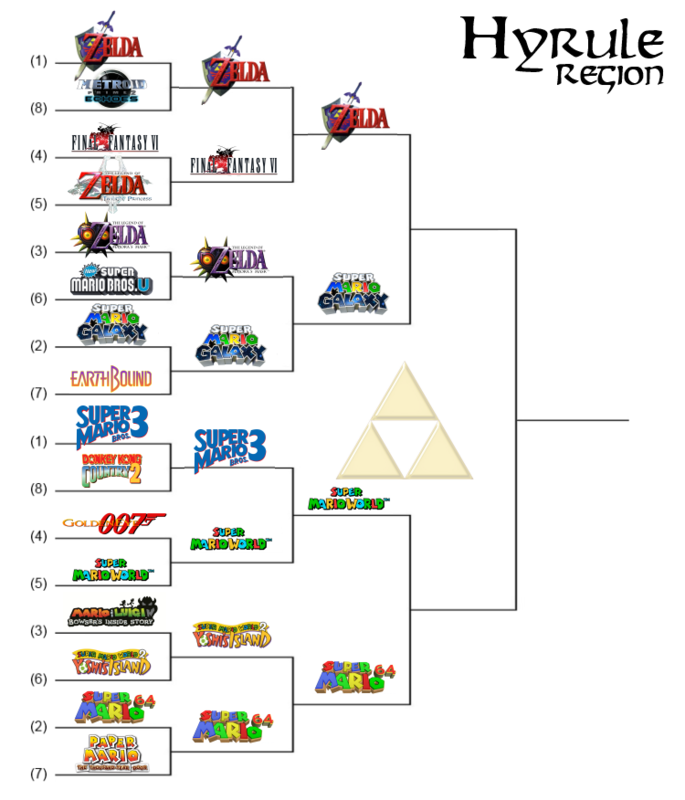 Be interesting if we could pit Ocarina Vs another Zelda in a separate bracket in the finals.